Should Parents Drug Their Kids On Flights? Would you sedate your child on a flight? Are parents who do so wrong? A Wall Street Journal article reported that many parents “drug” or sedate their kids on planes so they’ll be less bothersome for the parents, flight attendants and fellow passengers. The “drug” of choice seems to be Benadryl, and while it does calm the kids, often putting them out for hours, it has awakened others to what might be an abusive practice. The responses to an About.com (and other) postings on the subject revealed that many parents give some sort of sedation to their children whenever they fly with them, while others said they never would, and that doing so is a failure in parenting, an inability to creatively help a child adjust to air travel. 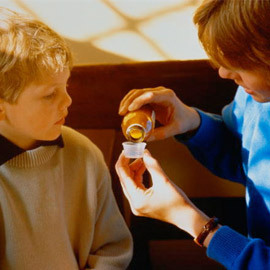 But pediatrician Vincent Iannelli point out some of the dangers of giving children Benadryl, including actually making kids more irritable and hyper, throwing them off their schedules and inducing an unpleasant grogginess. BabyCenter.com agrees, saying that kids can do just fine on planes if parents take the time to bring along the right distractions like toys, games, or DVDs. It doesn’t help of course that pharmaceutical giant McNeil included children’s Benadryl in a recent recall. Anyone who has ever flown with an inconsolable infant or child would understand why a parent would use medication. But some child behavior experts say the problem is less about fussy kids, and more about our collective lack of patience as a society. He asks what if Benadryl doesn’t work? Would parents give their kids something stronger like Vallium? He says the only reason to even consider giving a child a sedative is if the experience is too stressful for the child, not because of the discomfort of other people on the plane. Maybe parents traveling with children should simply forget about what passengers think, and forgo the quick fix of a sedative.. I travelled with my nephew on a 12 1/2 hour trip (JFK-IST) and while it was not up to me whether to sedate my nephew, I can also tell you it was not a mild inconvenience nor fair to the other passengers to subject them to an entire trip of a screeming child for that period of time. Parents should be aware and also considerate of other passengers. There should be some allowance to children, and the parents should be given credit if they are doing everything possible, but other passengers should also have the expectation that they can fly in comfort. Scott – that's quite a story. It's pretty unusual to have a child cry that long, and we're sorry it happened to you. But sedating kids is also unpredictable — some get super hyped up and refuse to stay in their seats! Some airlines have talked about having a family section in the back of the plane where flight attendants mind kids who sit together. Maybe that's the answer! Usually it's better to confront your fears. If you choose to do so, as a parent you can start prepping your child with a couple of weeks before the flight. Try taking him to an adventure park where there are similar crafts to airplanes. And step by step you will get him used to flying. Otherwise, if you start drugging him since a child, as you said no good doctor can recommend it. I'm not sure if you would like to take him to rehab because he'll be getting to used to taking too many drugs all the time. I think parents should focus more on preparing or educating their children about the proper etiquette and behaviors before the flight to avoid being a nuisance to others. I don’t know much about kids but as a first-time mom, that’s what I will do.